In the wake of secret data deals with smartphone makers, and a bug that turned private posts public for millions of users, Facebook is once again under fire: this time for the way it gave certain companies extended access to its network of information on users, through 2014 and beyond. The claims reported in The Wall Street Journal suggest Facebook kept a whitelist of partners who could access detailed data – even after the point when the social network said it had shut out this sort of access to developers. We already knew that detailed user data of this type escaped Facebook's clutches beyond 2014, when the platform first began to lock down what apps could do with the data they were getting. Now it seems Facebook knowingly gave certain advertising partners permission to carry on as before. Facebook has admitted the WSJ largely got its facts right, but insists that these extensions – given to the likes of Nissan and the Royal Bank of Canada – were intended to help companies adapt to the new privacy regulations. These extensions were short-term and have long since been terminated, Facebook says. 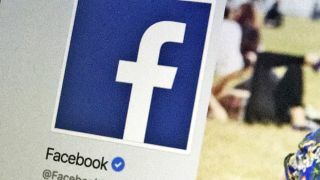 In addition, according to Facebook, any deal extensions signed after that time were kept under the new restrictions – only friends lists could be shared with app developers, not private information such as user interests or personal photos. To cut a long story short, it seems Facebook gave a small number of companies more leeway than we previously thought when it came to adopting the new privacy regulations introduced in 2014 and 2015. Even if that access has now been shut off, these aren't the kind of headlines Facebook will want to keep seeing.